Welcome to violadagamba.com, the largest business of its kind in the US. There is no other place to find, in stock and available immediately, so many sizes and styles of viola da gamba and baroque violin family instruments. If it's a baroque bowed string and you can't find it on the web site please ask - not all inventory is listed here. 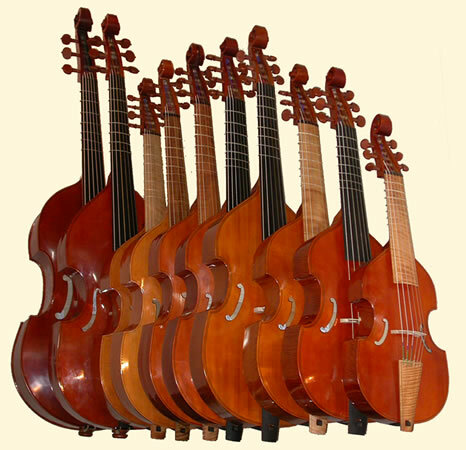 All instruments sold by violadagamba.com are set up and adjusted by Charlie Ogle. Most of these instruments are made by Charlie Ogle, or in the Charlie Ogle Workshop, a few are by other makers.